Da Vinci 10 Growth Factor, available from LAB Skin Clinic, is the most potent and purest form of growth factor on the market today… Even more powerful than PRP. Revolutionizing skin rejuvenation – As you age, growth factor levels decrease – leading to skin deterioration and contributing to collagen loss. Da Vinci 10 is a 100% natural and powerful bio-engineered topical epidermal growth factor formula (the new breed of cosmeceutical), which significantly enhances the results of in-clinic treatments. 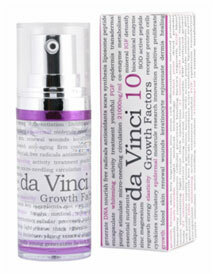 At home skin care: Da Vinci 10 – contains five growth factors with a concentration of 10,000 ng/ml (compared to a much lower concentration of 127 ng/ml of growth factor in PRP treatments that can cost up to 5 times as much) and has a molecular size that can be absorbed by the skin at home to maintain and boost results. Come in for a complimentary chat and tell us what you concerns are,or book a 45-minute skin diagnostic evaluation now on 02 9909 3602, or email: info@labskinclinic.com.au to find out how you can have flawless and more youthful looking skin. 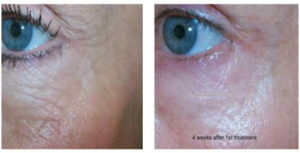 At LAB Skin Clinic you get a 100% MONEY BACK guarantee – PROOF that you WILL get positive and amazing long-term results. Epidermal growth factors (EGF) are proteins that play an important part in maintaining healthy skin structure and function; they stimulate biochemical pathways to re-energise waning cellular DNA synthesis, triggering your skin’s natural ability to heal and providing invaluable defence against premature ageing. 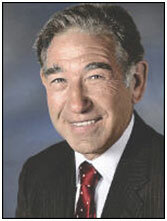 Growth Factors were discovered by Stanley Cohen, an American biochemist, who subsequently won the Nobel Prize in Physiology & Medicine in 1986. Growth Factor is widely used in medicine to stimulate cell growth for wound repair, tissue regeneration and as a treatment for ulcers. The high integrity Da Vinci 10 growth factor is the new breed of cosmeceutical and is revolutionising skin rejuvenation and delivering outstanding results. As you age, growth factor levels decrease, resulting in accelerated breakdown of collagen. Because collagen is the foundational support to your skin, the consequence of diminishing growth factor levels is skin damage and the visible signs of ageing – fine lines & wrinkles, age spots, loss of elasticity, roughness and the inability to effectively defend itself against environmental aggressors such as pollution and UV exposure. Optimum levels of growth factor keep your skin smooth, supple and resilient. First, micro-needling creates controlled multiple micro-channels into which the Da Vinci formula penetrates deeply into the skin. Because the skin sustains micro-injuries, it is additionally regenerated with increased collagen and elastin production – giving your treatment even more efficacy. After micro-needling and growth factor you have an Omnilux LED treatment so that by the time you leave, the tiny wounds have closed and there are no post-treatment requirements. A skin treatment takes only about 20 to 30 minutes and requires weekly visits for the first 2 sessions and thence every 1 to 2 weeks. You will see improvements within the first 3 sessions and improvements will be ongoing even after treatments have stopped. Especially remarkable results are achievable with acneic conditions (including deeply pitted and old scarring as well as active cystic acne and strong purple pigmentation scarring). A significant reduction will be noticeable within a relatively short period of time. Other clients are experiencing visibly younger, tighter and smoother-looking skin.